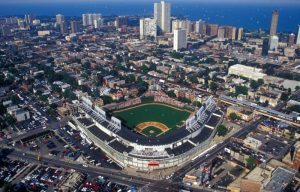 A trip to Chicago during our 75th Anniversary wouldn’t be complete without a tour of Wrigley Field – the home of the Chicago Cubs. The tour will take place on Wednesday, July 31 from 10:30 AM to 1:30 PM during the 2019 NAC Concession & Hospitality Expo. Lunch will also be served at this once in a lifetime experience. Plan to be a part of the NAC Expo!